Have you ever heard of Bakerella? She’s the fabulous baker that is responsible for treats like these milkshake cupcakes. And these Mrs. Potts cake pops. Even though I know I can never come close to emulating some of the baked goods she makes, I always like to browse. Sometimes, I even find something that I think I can handle. Last weekend, one of my friends was throwing a little party with a fall theme. I volunteered to bring the dessert, so I searched for a cupcake that screamed fall to me. 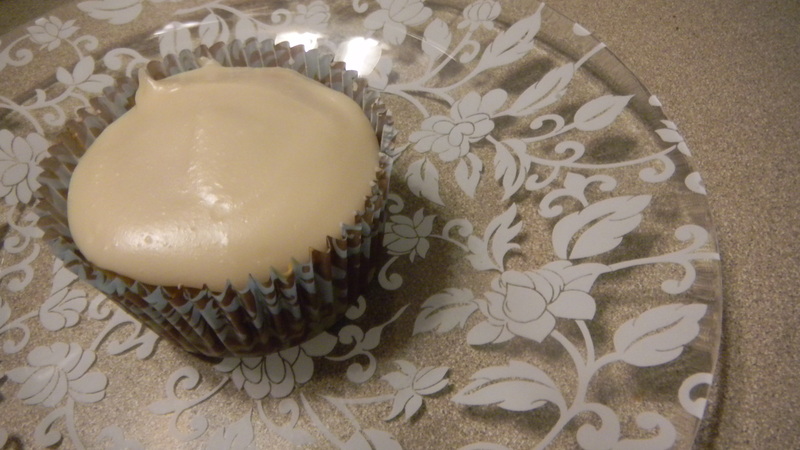 I landed on Bakerella’s Sweet Potato Bourbon cupcakes. I followed her directions, but halved the recipe so I only got 12 cupcakes instead of 24.Also, I didn’t make the under frosting dipping element of the cupcake. They turned out just as yummy. The cake got stuck to the wrapper. A little cooking spray would have gone a long way. The frosting glaze firms up very quickly. Keep the mixture on the stove, on low heat, while you’re spreading it over all the cupcakes. 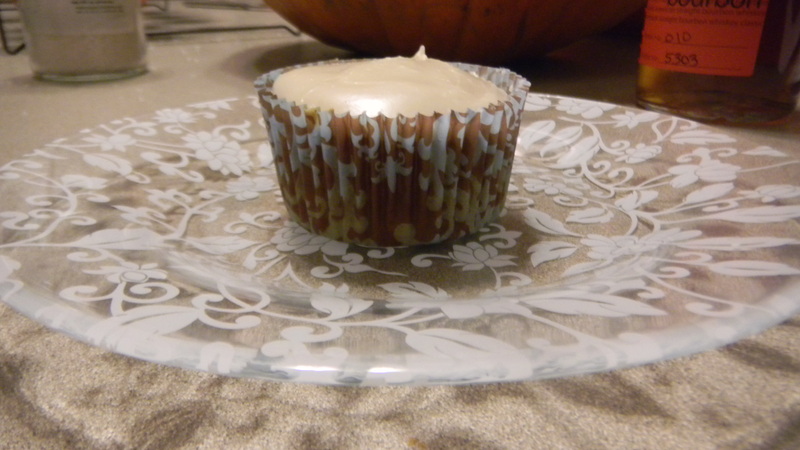 Once the frosting dries (which only takes a few minutes), it’s not spreadable and won’t leave a smooth glazed cupcake top. It was a hit. I was surprised by just how bourbon-y it was and how little it actually tasted like sweet potato. Still, it was a perfect fall treat.